Risperidone is a selective monoaminergic antagonist having a high affinity for serotoninergic 5-HT2 and dopaminergic D2 receptors. Risperidone binds also to alpha1 adrenergic receptors and with lower affinity, to H1 histamine and alpha2 adrenergic receptors. Risperidone has no affinity for cholinergic receptors. 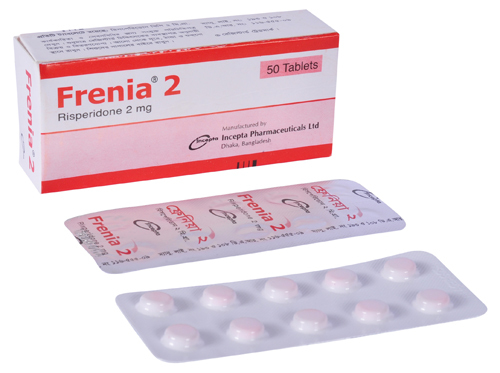 Risperidone, as a potent D2 antagonist, improves the positive symptoms of schizophrenia but causes less depression of motor activity. Balanced central serotonin and dopamine antagonism may reduce extrapyramidal side effect liability and extend the therapeutic activity to the negative and affective symptoms of schizophrenia. 2 mg in 1-2 divided doses on 1st day then 4 mg in 1-2 divided doses on second day (Slower titration appropriate in some patients); usual dose range 4-6 mg daily; doses above 10 mg daily only if benefit considered to outweigh risk (max. 16 mg daily). Elderly (or in hepatic or renal impairment) initially 1 mg daily in two divided doses increased in steps of 1-2 mg twice daily. Child under 15 years not recommended. Initially 2 mg once daily increased if necessary in step of 1 mg daily; usual dose range 1-6 mg daily; Elderly (or in hepatic or renal impairment) initially 1 mg daily in two divided doses increased in steps of 1-2 mg twice daily. Risperidone should be generally administered at 1 mg BID initially, with increases in increments of 1 mg BID on the second and third day, as tolerated, to a target dose of 3 mg BID by the third day. Further dosage adjustments, if indicated, should generally occur at intervals of not less than 1 week. When dosage adjustments are necessary, small dose increments/decrements of 1-2 mg are recommended. Insomnia, agitation, anxiety, headache, less commonly drowsiness, impaired concentration, fatigue, blurred vision, constipation, nausea and vomiting, dyspepsia, abdominal pain, hyperprolactinaemia, urine incontinence, tachycardia, hypertension, edema, rash, rhinitis, cerebrovascular accident, neurtropenia and thrombocytopenia have been reported. Special precaution should be taken in case of preexisting cardiovascular diseases, discontinue use if signs and symptoms of tardive dyskinesia occur, renal and hepatic impairment, elderly epilepsy, Parkinson\\\\\\\'s disease and in pregnancy. Although, in experimental animals, Risperidone did not show direct reproductive toxicity, some indirect, prolactin- and CNS-mediated effects were observed, No teratogenicity effect of Risperidone was noted in any study. 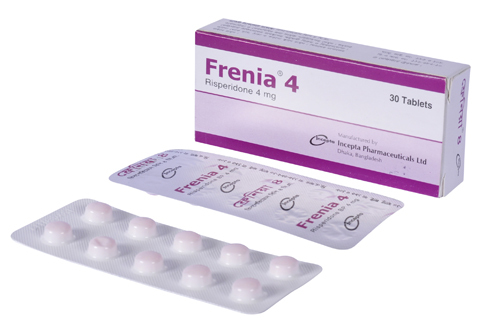 The safety of Risperidone for use during human pregnancy has not been established. In animal studies, Risperidone and 9-hydroxyrisperidone are excreted in the milk. It has been demonstrated that Risperidone and 9-hydroxyrisperidone are also excreted in human breast milk. 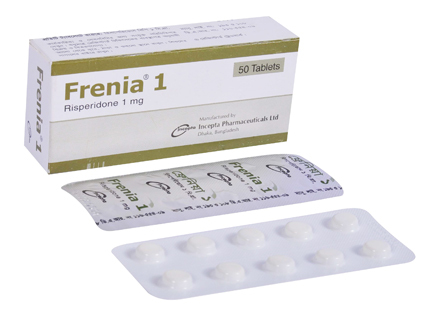 Therefore, women receiving Risperidone should not breast feed.